Visit the Bears' official website for your daily fix of team information. A week after saying he wanted to provide an answer on his playing status by the start of training camp, Bears tight end Zach Miller announced his retirement on Instagram. After a sensational rookie season, Broncos pass rusher Bradley Chubb is preparing for new coach Vic Fangio's defense by grinding Khalil Mack tape. The Chicago Bears are signing safety Ha Ha Clinton-Dix to a one-year-deal worth $3.6 million, Ian Rapoport and Mike Garafolo reported. Versatile threat Cordarrelle Patterson is expected to leave the Patriots and sign with the Chicago Bears on a two-year, $10 million deal, NFL Network's Tom Pelissero reported. Former Vikings coach Brad Childress is expected to rejoin the Bears as a senior offensive assistant, Tom Pelissero reported. Childress, who resigned as an AAF coach in January, worked for Chicago in 2018. Teams continue to purge veteran contracts ahead of the new league year. 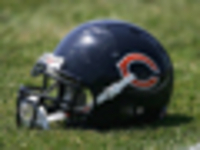 The Bears parted ways with linebacker Sam Acho after four seasons. Here are other transactions we're monitoring. The inevitable was confirmed from the source early Wednesday morning. Bears coach Matt Nagy told Good Morning Football's Peter Schrager that the team is releasing kicker Cody Parkey. Kyle Long is with Chicago for the long haul. The 30-year-old offensive lineman agreed to a restructured deal with Chicago that will keep him with the team for years to come. Chicago needs a kicker. That much is clear after it was reported that the Bears intend to release embattled booter Cody Parkey. Lucky for them, an old acquaintance, Robbie Gould, is hitting free agency. In the aftermath of a season-ending blocked "Double Doink" field-goal attempt, kicker Cody Parkey won't be returning to play for the Bears, NFL Network Insider Ian Rapoport reported Friday. Matt Nagy was announced as the 2018 NFL Coach of the Year during Saturday's NFL Honors award show after leading the Bears to the NFC North title in his first season at the helm. Vic Fangio was named the 2018 Assistant Coach of the Year following the Chicago Bears' turnaround from worst to first in the NFC North. On Saturday, the Bears announced they had locked up starting right tackle Bobby Massie with a four-year contract extension through the 2022 season. In an early sign that Cody Parkey's days as the Bears' kickers are coming to an end, Chicago is set to work out free-agent kickers Nick Folk, Blair Walsh and Austin MacGinnis. 4/15 Isaiah Irving (LB) Exclusive Rights Signing (exclusive rights signing). 4/15 Roy Robertson-Harris (DE) Exclusive Rights Signing (exclusive rights signing). 4/5 Rashaad Coward (OT) Exclusive Rights Signing (exclusive rights signing). 4/3 Patrick Scales (LS) Free Agent Signing (free agent signing).